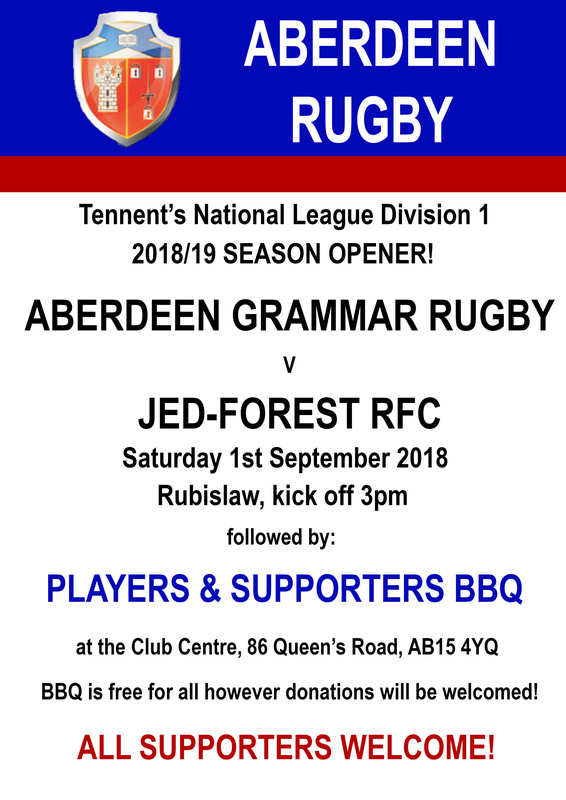 On Saturday we play our first home game of the season against Jed-Forest RFC and after the match, all supporters and players are invited to attend our BBQ at the clubhouse. 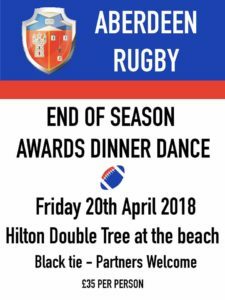 The Annual General Meeting of the rugby club will be held in the Club Centre at 7 pm on Wednesday 6 June 2018. 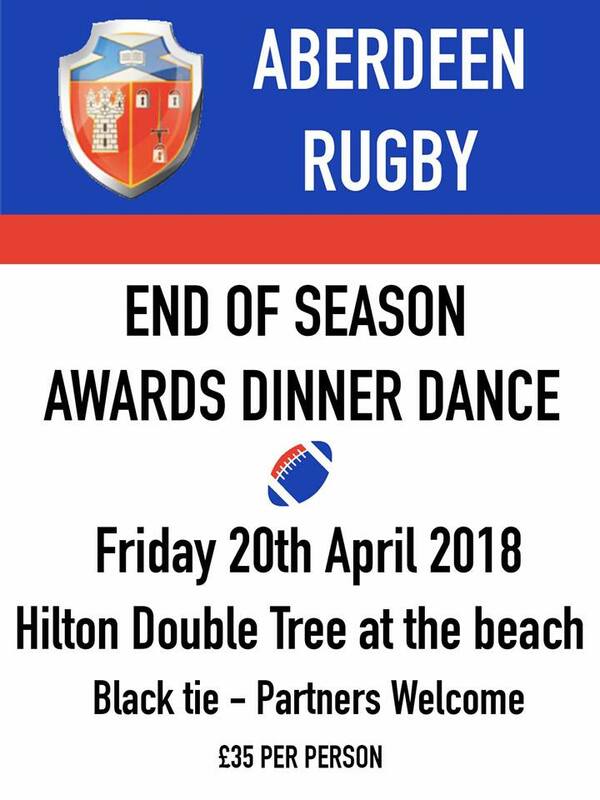 This year’s end of season dinner will be a black tie, 3 course celebration of our season with players, members, supporters and sponsors at the Hilton Double Tree on the 20th of April. 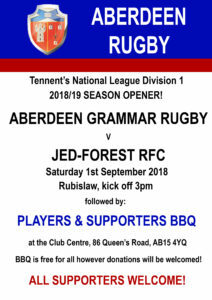 For bookings and enquires please email Club Captain Doug Russell: douglas.russell.10@aberdeen.ac.uk.